Supplier & Manufacturer of Head Gaskets. Our product range also comprises of Industrial Gaskets, Shims and Rubber Cork Sheets. Our customers can buy from us a wide range of Head Gaskets that are highly demanded in the market. 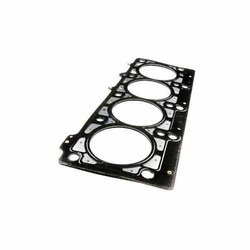 The head gaskets offered by us are mainly used in internal combustion engines to ensure complete sealing and avoid leakage of fluids. Owing to their crack resistant and anti-corrosive properties, these head gaskets are gaining immense popularity across the nation. These gaskets are made in compliance with the international safety and quality standards. Looking for Head Gaskets ?